It went down well at work and also with Mr Birdie (always an added bonus). The cake is layered with lemon curd however, I was surprised the lemon curd isn’t more visible when you cut it into slices. It does have a dark crust but don’t be deceived by this as it has a lovely moist texture on the inside. My only issue was that when I tried to remove it from the tin, it didn’t all quite come out so I had to do a bit of a patch up job but luckily I managed to cover this up with icing. 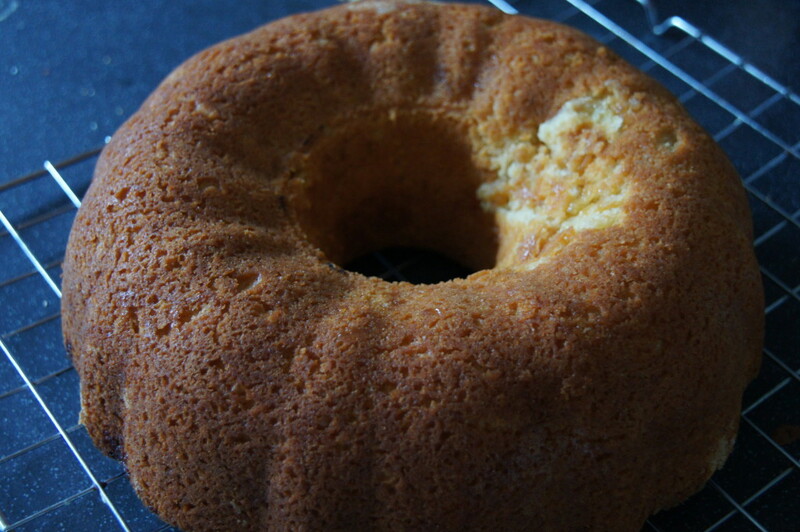 You will need a large Bundt tin (any shape will be fine) which needs to be greased with cake-release spray or a flavourless cooking oil such as sunflower or rapeseed. 1) Preheat your oven to 170C/325F/Gas 3. 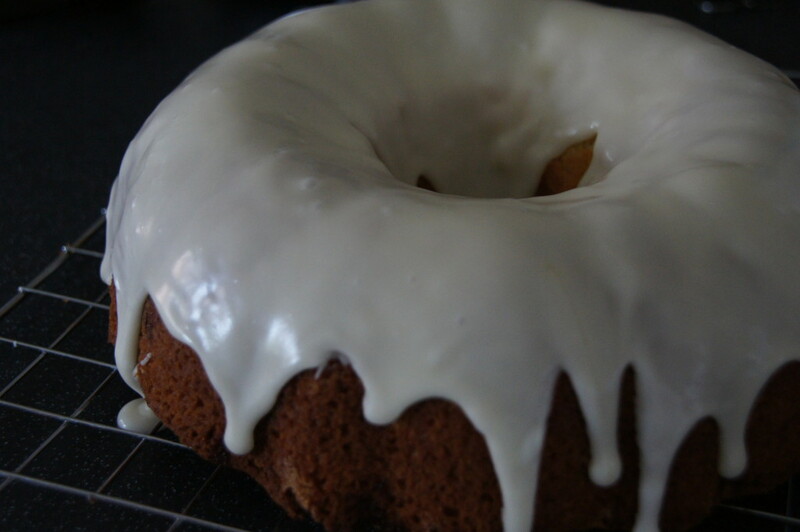 Grease your Bundt tin using cake-release spray or flavourless oil. 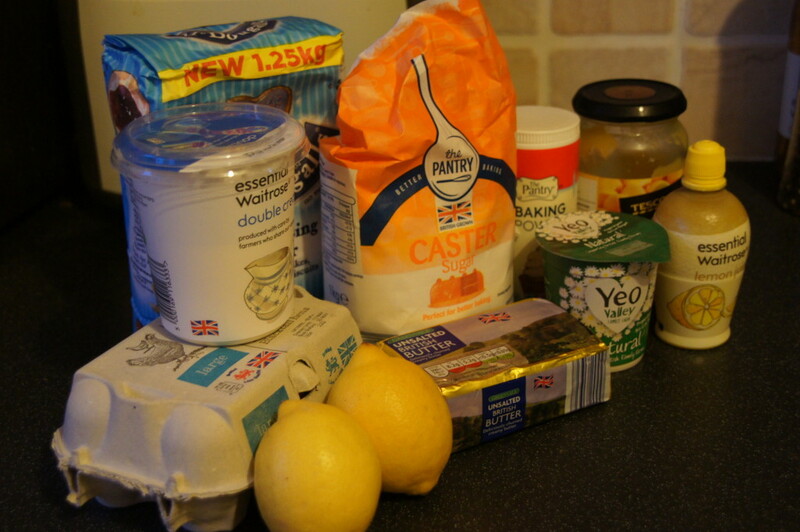 2) In the bowl of a free-standing mixer cream together the butter, sugar and lemon zest until light and fluffy. Alternatively, you can use an electric hand whisk and a large mixing bowl. Beat the eggs together in a jug then gradually add to the creamed butter, mixing well between each addition. 3) Mix together 1 tablespoon on the lemon juice with the cream to thicken it, then add to the bowl along with the remaining lemon juice, using a large metal spoon to combine. Carefully fold in the flour and baking powder. 4) Spoon half the mixture into your prepared tin. Spoon (or pipe) the lemon curd in an even layer over the top of this, then spoon over the remaining cake batter. 5) Bake on the middle shelf of the preheated oven for 55-70 minutes (mine only took 50 minutes) until golden and a skewer inserted into the cake comes out clean. (If your cake starts to brown too quickly, cover it loosely with foil). 6) When cooked, remove from the oven and leave it to cool in the tin for 10 minutes, then carefully turn out onto a wire rack to cool completely. 7) When your cake has cooled make the icing. 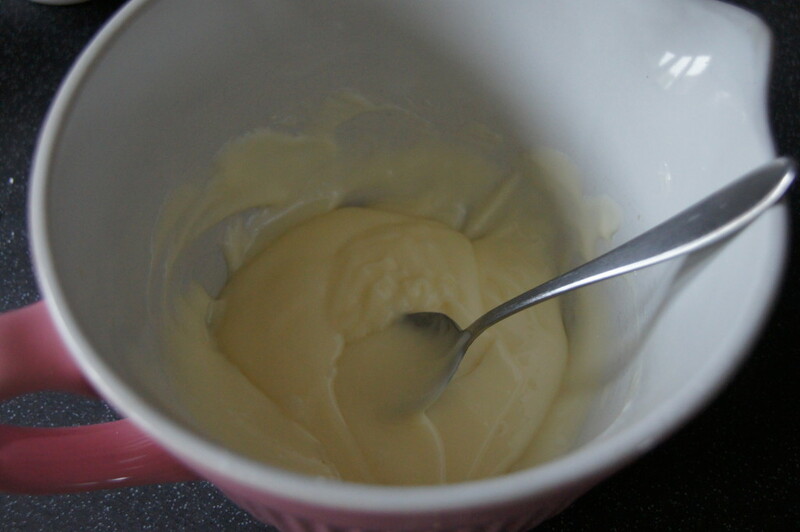 Mix the icing sugar, yoghurt and lemon curd together to make a thick paste. 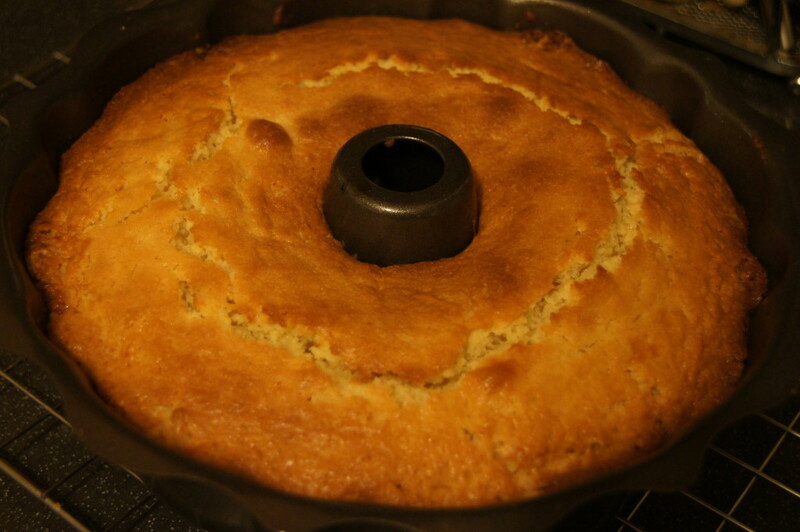 While the icing is still wet, spread it over the cake (it will drip down the sides). Leave the icing to set before serving.